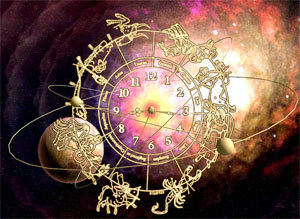 There are a total of nine planets in Astrology, including two shadow planets or nodes. They are Sun, Moon, Mars, Mercury, Jupiter, Venus, Saturn, Rahu and Ketu. One can arrive at almost precise predictions for a person by knowing the position of the planets in the birth chart based on the time, year and place of birth. The position of a particular planet in a particular house will help in explaining your behaviour, current state, strengths and weaknesses. Each house in the birth chart depicts different stages of your life. The planets are divided into day stars and night stars. Day stars are Saturn, Jupiter and Sun, while night stars are Moon, Mars and Venus. Planet Mercury belongs to both the category. The planets are further divided into masculine and feminine. While Sun, Jupiter and Mars are masculine, Venus and Moon are feminine. Here also planet Mercury belongs to both the classes. The planets are further divided into benefic and malefic. While Jupiter and Venus are benefic, Saturn and Mars are malefic. However, planets Sun, Moon and Mercury have both the characteristics. They vary with their journey through houses in your birth chart. Generally, planets give positive results when in this order. i.e, exalted sign (uccha-rashi), own sign (swa-rashi) and friendly sign (mitra-rashi). Exalted sign for best results, own sign for good results and friendly sign for moderate results. However, there will be no good results if the planets are positioned in either of these signs, they being, debilitated sign (neecha rashi) or enemy’s sign (shatru rashi).